Getting locked out of your vehicle can be a harrowing experience. At Bells Lock & Key, we understand that you need to get back into your vehicle as quickly as possible. We will come to your car or truck in the Chicago area and get you back on the road in no time. Your home should be a place of safety and security. By having the right locks and security system installed, you won’t have to worry about your safety, the safety of your family, or the security of your property. We can make sure that you have the best system installed for your needs. 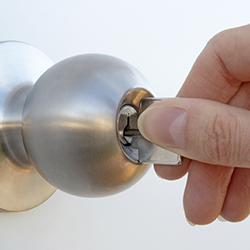 Bell’s Lock & Key can provide expert 3 point lock system repairs. Businesses need to be as well protected as family, especially when you and others are depending on the business for your income. When that is the case, it is important to have the right locks installed. Adding locking desks and cabinets to your business can only help increase the security. We offer everyone our price guarantee. You can rest easy when you choose us knowing we will never hit you with hidden fees for services rendered. The price that we quote is the one that you pay. Copyright © Bells Lock & Key, 2017. All rights reserved.